Knowing that I have an interest in investigating the evidence behind claims for veterinary healthcare products, clients and colleagues sometimes pass along materials concerning veterinary supplements, herbal remedies, and other similar products and ask my opinion. Since there are hundreds, if not thousands of products marketed to pet owners to preserve or restore their pets’ health, I can only look into a few. However, the more of these I investigate, the more clearly I see the patterns of disregard for science and manipulation of the consumer that they have in common. The latest in this category is a collection of products from a company called Nzymes.com. The website and pamphlet for this company exhibits nearly all of the warning signs of quackery. The company systematically tries to frighten the consumer by suggesting that pets cannot be healthy without their product and that the food and healthcare they are currently getting is inadequate. If you are feeding your pet one of today’s popular processed pet foods, then chances are, your pet’s body is depleted of the primary enzyme precursors nature provides abundantly in all living foods. The fact that we continue to feed our pets such enzyme-less food over an entire lifetime may contribute to the growing list of animal health problems we witness today including; osteoarthritis, inflammation, joint pain, hip dysplasia, pano, OCD, HOD, shedding, hair loss, dry skin, itchy skin, digestive disorders, gastritis, pet food allergies, epilepsy, fatigue, hot spots, and many other stress related symptoms contributed to by a weakened immune system. The whole “living enzyme” argument is complete nonsense, and there is no evidence for the suggestion that commercial diets are nutritionally deficient or responsible for this long, redundant list of random symptoms and disorders. Some of these problems may be related to nutrition, but that has nothing to do with the claim made here, which is baseless. But the pseudoscientific nonsense doesn’t stop there. The web site also blames pet food, vaccines, and medications for a variety of ailments, again without paying any attention to the real, and complicated, risks and benefits of these interventions. Classic quack nonsense like claims about the Pottenger cat “study,” about boosting the immune system, about mysterious “toxins” as a cause of unrelated diseases, and about Candida yeast infections as a common cause of many health problems are all over the company web site. I like how they throw in “Healthy Organ Function” and “General Overall Wellbeing” just to cover any possible body part they might not have thought of. So if you’re afraid the imaginary causes of illness they mention have caused your pets’ problem, or might cause something bad someday, you can take comfort from knowing they this product can treat or prevent absolutely everything (except when it can’t, in which case it’s because of the food, the water, the medications, or anything else except the lack of benefit of their product). What, exactly, are the miracle elixirs offered by Nzymes.com? This consists of 5% sodium chlorite, a chemical related to bleach. Properly diluted, this chemical is a safe disinfectant, killing infectious organisms through oxidation. With a pH of 13, if not diluted the chemical can cause burns, especially to the eyes and mucous membranes. Accidental overdose can be fatal. The company advertises this as helping in “the removal of potentially dangerous free radicals and toxins,” and claims that is boosts the immune system, supports digestion, and enhances “performance.” Impressive claims for a potentially toxic disinfectant that is actually an oxidant rather than an anti-oxidant. As the accompanying quack Miranda warning attests, and a simple literature search confirms, there is absolutely no evidence for any of these claims. Plenty of testimonials are offered, of course, which is always the evidence of choice for products that are based on pseudoscience and have never been tested in any reliable way. The antioxidant hype is a common marketing ploy for supplements because it’s vague, and there is enough suggestive preclinical research to suggest the general idea is plausible. Unfortunately, there are few clinical trials which show significant real benefits from particular anti-oxidants in particular conditions, and the evidence is growing that some such agents, such as Vitamin E, can actually increase the risk of disease. The amount of the vitamins in the supplement are far in excess of what is recommended to prevent deficiency. These amounts are probably not high enough to cause harm, but given that most pets are fed diets already supplemented with more than enough of each, the amounts in this product are unnecessary as nutrients. The use of excess amounts of these vitamins as medicines to prevent or treat disease, is not proven, and has often turned out to do more harm than good when tried in humans. As for the sprouted soybean meal, there is no scientific evidence to suggest health benefits from this either. The company sites a variety of epidemiological studies in humans indicating an association between eating tofu or other soybean food products and lower cholesterol levels, rates of some cancers, and a few other health problems. (They do not, of course, refer to any of the research in humans showing lack of benefit or potential risks from soy supplement products). All of this, unfortunately, is entirely irrelevant to whether or not this particular soy-based product has any benefits for dogs and cats. The amino acids, vitamins, and minerals listed are all provided in adequate amounts in good quality commercial pet foods. The enzymes are of no benefit, particularly when taken orally since they themselves are destroyed by normal digestion. And none of the phytochemicals have yet been demonstrated to have any health benefits in dogs and cats. So while it is unlikely to be harmful, to is an expensive way to get a few nutrients your pet probably already has enough of and some chemicals that may or may not have any health effects, positive or negative. This is an herbal product containing black walnut extract, olive leaf extract, and cayenne in 75% alcohol(!). The usual vague and unscientific claims are offered about supporting the immune system, the circulatory system, the digestive system, and so on. Black Walnut- There is insufficient evidence to support any of the claimed health benefits despite traditional use for a wide range of unrelated problems. There is some concern about possible toxicity, from the walnut itself and from possible fungal contaminates. Olive Leaf- The evidence in humans suggests some possible beneficial effects on blood pressure and cholesterol levels, but it is weak and not conclusive. There is no eveidence on the possible effects in dogs and cats. Cayenne- There is a fairly large amount of preclinical research suggesting possible benefits in humans, but little in the way of clinical trial evidence, and nothing in dogs and cats. I’ve written extensively about probiotics, and this is an area in which I think some real benefits are possible. Unfortunately, we have yet to develop an adequate understanding of the normal gut ecology to be able to influence it in significant ways, and the evidence for real clinical benefits from specific products varies from weak to non-existent. Nzymes.com does nothing to change this. Their product contains a variety of typical probiotic bugs, and there have been no clinical trials to show that the specific combination has any value. The product was tested, however, in a study looking at quality and label accuracy for veterinary probiotics. It was found to contain only 2.7% of the number of bacteria claimed on the label, suggesting even the ingredient claims made for this product may be questionable, much less the claims of health benefits. The company does claim to have one rather large veterinary clinical study from 1989 showing that dogs with musculoskeletal pain benefit from its sprouted soybean product. The study was never apparently published, and the information provided on the web site does not make it possible to evaluate it extensively. Six unnamed veterinarians apparently diagnosed dogs with “musculoskeletal inflammation” based on their own exams and the opinions of owners. They gave the supplement to 387 dogs, and 340 of them were reported as improved in one of more of these measures: energy, alertness, stamina, appetite, and accelerated healing. Most cases improved within the first week. This is almost a cartoon caricature of what a scientific study shouldn’t be. No randomization, no placebo control group, no standardized diagnostic evaluation, no objective diagnostic evaluation (all subjective), no clearly defined diagnosis, no blinding, no record of other conditions or treatments used, and no predetermined or even halfway consistent criteria for response. Any high school science class ought to be able to put together a better “study.” If this is the best the company has been able to do in over 20 years, there is absolutely no reason to believe they have any interest in the scientific validity of their marketing claims. These products are being marketed with an impressive number of the myths and warning signs of snake oil and pseudoscience. The theories offered for why these remedies should help your pet range from complete nonsense to vague unproven hypotheses. There is no scientific evidence to indicate any specific benefit from any of these products for any particular condition in dogs and cats. All the testimonials in the world can’t prove any of the company’s claims to be true, nor can they guarantee that the products cannot hurt your pets. Just as there is little evidence regarding the claimed benefits of these products, there is little to demonstrate that they are safe. 1. Without scientific evidience they are safe and effective, we don’t know if they are. That means they might help, they might do nothing, or they might make things worse. If the company were willing to market the product honestly by saying this, I wouldn’t object. People are free to roll the dice if they want to, but they shouldn’t be talked into with misinformation, and telling people that this product is safe and beneficial without doing research to demonstrate this is lying. 3. No, science isn’t perfect. There is much we don’t know, and some of what we think we know later turns out to be wrong. But the standard against which we measure the worth of science here isn’t perfect omniscience, it’s the alternatives. Science, for all its limitations, works a lot better than any other system we’ve tried, including the trial and error approach of anecdote. So saying science might be wrong, while true, has nothing to do with the fact that without scientific evidence we are a lot more likely to be wrong than with it. And since no knowledge is perfect, the fact that even proven treatments don’t work perfectly all the time is not a reason to give up on scientific proof altogether and trust internet testimonials and marketing instead. It just means that life is not perfectly predictable and sometimes things don’t work out the way we expect or would like. Sadly, many people would rather make their decisions based on a comforting false certainty rather than deal with this hard truth. 4. Money is a real limitation on what people can do, but it doesn’t have anything to do with what is true or hat works. There is scientific evidence NSAIDs are very safe and effective. There is no evidence that Nzymes are safe and effective. If NSAIDs are more expensive, some people may not be able to afford them. That’s unfortunate, but it doesn’t make them any less effective or Nzymes any more effective. And money spent rolling the dice on unproven remedies is a lot more likely to be wasted than money spent on proven science-based treatments when they exist. 5. I’ve never said people shouldn’t try unproven remedies when nothing else works or is available to them. I’ve only said that we should understand what “unproven” means. It means, again, that they might help, might do nothing, or might make your pet’s life worse. Nobody knows for sue, and whether your pet gets better or worse after trying them doesn’t prove anything either way. My objection is not to people doing desperate things when they have to, only to people being misled into believing that products like this can be trusted when the claims for them are mostly made up out of nothing and backed by little or know reliable evidence. You clearly don’t understand the articles you linked to, since they don’t dispute anything I’ve said. I’ve certainly never claimed people used to drop dead at some arbitrary age. What these articles do is simple point out the difference between “life expectancy,” which is a statistical measure of how long an individual is likely to live (from birth or some other starting point) based on the age distribution and mortality rates of the population, and “lifespan,” which means how long individuals of a particular species can live under given conditions. 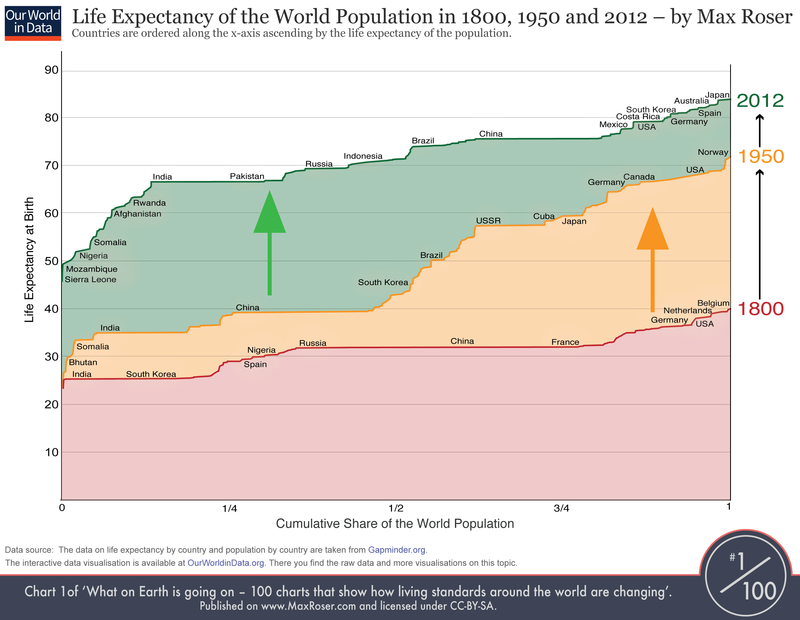 Maximum lifespan has changed little, and there were undoubtedly people all through human history who lived nearly as long as any individual today lives. 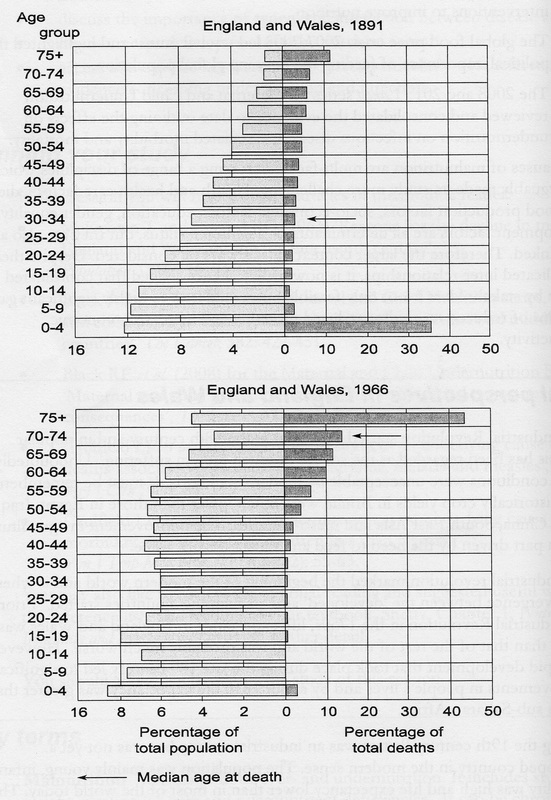 However, life expectancy has changed dramatically because up until the last couple of centuries, a large proportion of people born died very young and now that isn’t the case. 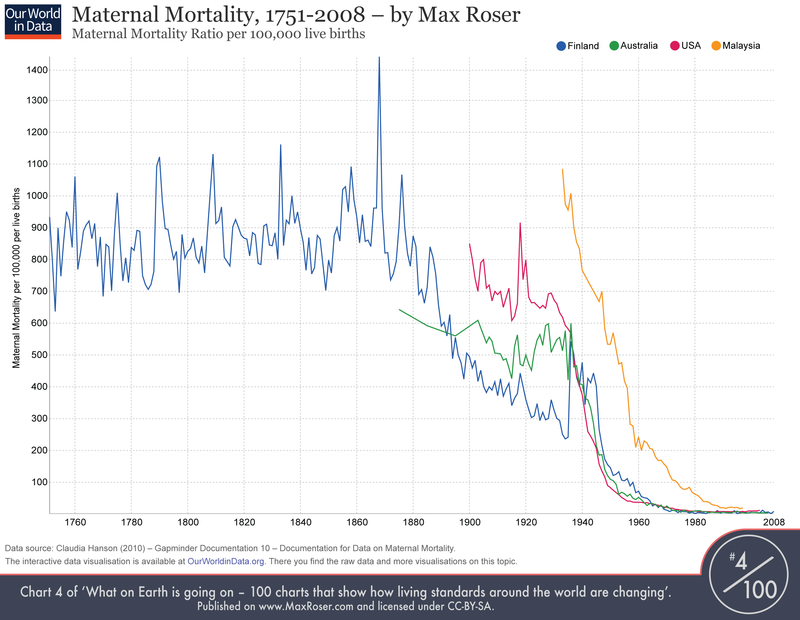 My point was that a lot more of us are getting to live a lot closer to our species’ maximum lifespan because we have dramatically reduced childhood and maternal mortality. We take it largely for granted in the developed world that most or all of our children will reach adulthood, and that those of us who do can reasonably expect to live well into our 70s or 80s. This is unprecedented in human history. Here are a couple of visual demonstrations of what I mean, since you clearly didn’t investigate the link I provided previously. Science basically is at its core level, trial and error. I also have seen you make the statement that humans live longer and are healthier than any point in history. I did some research on that, first of all because it sounded so much like talking points from the medical industrial complex, and second because I was curious. I found some interesting data from Live Science, Ancient origins and a others that I can’t post the link, because your site says it spam. ( That’s a clever way to put a co bash on any debate) but forward on , if what they say is correct your arguments do not hold up under scrutiny. I’ve already responded to your mistaken use of the Live Science links, and you don’t seem to have understood or acknowledged that response. This is becoming less of a conversation and more a case of you simply making a serious of inaccurate statements and then ignoring the evidence that they don’t hold up. No, science is not trial and error, and the fact that you say that indicates how little you understand what science is or how it works. Science is a structured, systematic way of evaluating natural phenomena that includes controls for cognitive bias, confounding factors, and chance. Furthermore, it is a community endeavor, which is a key part of its success. Individuals challenge each others’ claims using the scientific method, which helps minimize the influence of individual bias. Trial and error is simply individuals trying things and observing the outcome without any effort to control for bias and other errors and without any consistent replication or challenge of their observations or conclusions by others. Science and anecdote are vastly different things, and science is far more reliable. And the snide implications of censorship are silly and pointless. The spam protection built into the blog software is necessary (since it blocks literally hundreds of spam messages and links every day), and you’ve already posted many comments and several links. Your implication that somehow you are not being allowed to make your case doesn’t hold up any better than your other clams so far have. Perhaps you could have made that point more clear earlier on , in lieu of just the blanket statement. Anyways, Thanks for the clarification. My apologies for that, The post was late in arriving on site, so I mistakenly took it as being blocked, and I had already posted the second before I caught it. Not sure how many claims I have made, mainly just trying to debate many of yours and perhaps to pull you out a bit of some of your more dogmatic positions. Nzymes is NOT snake oil at all!! I had two American Bulldogs, one of which got a horrible rash every summer once he was about four years old. We tried everything with the vet and nothing worked. I put them both on Nzymes and he never got the rash again. I lost him in 2013 to an inoperable chest tumor. His brother is still going strong and will be 14 this year. I would HIGHLY recommend Nzymes and I tell everyone about them. It IS a wonderful product. It’s healthy for people too. I appreciate Skeptvet’s call for the marketing integrity of n’zymes. There seems to be a disconnect in this long conversation, where people’s responses are focused on saying “but, it worked for my dog!” when skeptvet really is just trying to be a consumer advocate. If the product works for people, that’s great. But I saw at least one post where a consumer was mis-led by n’zymes’ claims, and that is I think what skeptvet’s trying to prevent. Then again, saying things in a manner that people will listen to is an art. Obviously, I cannot diagnose and treat patients through the internet. The best way to help your pet is to find a local veterinarian you can work with. I often wonder why with so many people having there fur pets and love them so much ,you would think that some one could come up with something to help there mobility. I love animals very much and wished that with all this money spent on selling products that there is someone that can come up with a cure. Pets are like our children, we worry about them and would love to find a sulation for there joint problems and other problems they occurred as they get older . That’s probably why we turn to products that we wish that would help them. In hopes that there claims that it helps. In the mean time we continue to spend as much money to try anything to help them as they get older. Our yellow lab developed Candida 6 years ago when she was 5 years old and chewed herself up so badly it was scary. We took her to our regular vet who said it was a flea infection, and then to a holistic vet who also decided it was fleas and spent close to a half hour trying to find a flea on her. I had seen the Nzymes web site and my dog looked very much like the white shepherd they feature with the horrible skin issues. I showed the info to the holistic vet who pooh-poohed it but did prescribe some krill oil that was $20 for 16 ozs. We came home and ordered the Nzymes program, changed her food and followed it. It took several months for her skin to heal, but heal she did, and is now almost 12. She occasionally has some itchy, but we wash her and watch her diet very carefully. 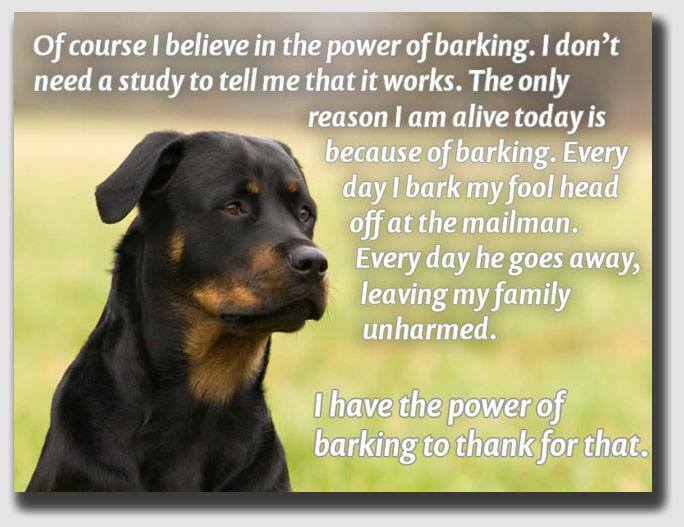 As to antidotal evidence, I agree it isn’t scientific, but if someone tells me something saved their dog’s life when nothing else worked, I’m going to look into it. If we had listened to our regular vet and that holistic vet, we would have had to put our dog to sleep. Plus, we’d still be at the holistic vet’s waiting for him to find that flea that was causing all the problems. Also, on a related note, we had a lab/Eskie mix who developed degenerative myelopathy at the age of 12. We thought it was arthritis, and I had read that acupuncture can help with it so we took her to another vet who does acupuncture. He treated her not realizing what she actually had, and it was amazing seeing her walk around the yard when prior to that going 20 feet out to the lawn to pee was a challenge. When we told the vet how amazing the results were, he examined her more closely and diagnosed the degenerative myelopathy and said that vitamin B12 injections in the acupuncture points was the most effective treatment. She had this starting with once a week for a couple of months and then twice a month and finally every three weeks for the next 28 months until her front legs finally gave out. It was absolutely amazing how well she did–my husband walked about 6 blocks 4 days a week. Right now I have another dog with kidney issues I’m giving the Canine Healthy Kidney program. We haven’t had blood work redone, but she seems perkier. I’m going to negate your acupuncture “evidence” on DM with my own “evidence”. My GSD had DM from when he was 12. Nothing helped its progression. This is why anecdotal evidence is very very weak. I just countered it with my own story. Neither of our stories has any validity to them other than they are stories. Can I suggest that your dog with DM maybe didn’t have it? Maybe it was such a slow progressing DM that he had lapses of good movement ability? Maybe it could have been 100 other things. Or maybe you just noticed the good days more than the bad days. An analysis of several probiotic products aimed at the veterinary market. I have 2 Landseer Newfoundland’s that have skin issues you’d have to see to believe. They have had thousands of dollars of allergy testing, thousands of dollars in medications to treat their allergies, very expensive special food, antibiotics, steroids, creams, shampoos, lotions, you name it, we’ve tried it. We’ve spent THOUSANDS to no avail. Chloe is now 15 and Odin is 6. They are both healthy animals, live in a lovely home, warm in winter, cool in summer, no carpeting, just hardwood floors, drink only filtered water and get ZERO treats. Nothing but their dogfood and at $65.00 for a 25lb bag, it isn’t cheap especially when you’re feeding Newfies. We love these dogs. They are our family. So. We see Nzymes.com and read all the glowing testimonials and decide to give it a go. It’s been 4 months. I follow the instructions to the letter. Nothing. Zip. Zilch. Nada. No change. The only change is the hundreds of dollars already spent treating 2 – 100+ lb dogs. But, it says ” give it 6 months”, so I will, but I highly doubt there will be any change whatsoever. My six year old Running Buddy (Chico) had his first seizure about two years ago. This went on for months until I saw an ad for this product. I thought, “What can it hurt, and its’ worth the money to try and support my Very Best Friend”. I began giving him one a day about 11 months ago. To hell with *Scientific* evidence, it worked just fine. Mister Chico Von Fleas has not had a single episode from the moment he tasted NZYME Treats. Would I recommend others give it a try? I praise it highly, and had others in my neighborhood begin using it as directed. WAY TO GO BIO PET !!!!!! My 14 (and 7 months) year old dog suddenly started showing of aging and arthritis. He was also diagnosed with very early stage kidney disease and has a condition on his nose, which resembles an autoimmune disease however was negative. I’m skeptical of everything BUT willing to try anything. My boyfriend found this page, because he thought I was crazy for spending $55 on some random item I found online. Well, let me tell you how he’s eating his words now. My boy could hardly walk, even on pain meds. It’s been 5 weeks and he’s leaping off of the deck, running around the yard barking at the birds, and this morning I realised his nose looks amazingly better than it did a couple of weeks ago. Next month I will take him in for his lab tests to see how the kidney diseased has progressed, if at all. Science is not written in stone. It is forever challenged and forever challenging. Just because you have not learned about supplements, vitamins and other ways to heal does not mean they aren’t true. I know that for myself because of my physical challenges. I have worked in a health food store. I talked to nurses, doctors, customers who believed in supplements and vitamins etc. I read many many books on many illnesses and things they said helped. I tested myself by using the things they endorsed. I found out for myself the things that worked. I do many hours of research on the things I’m interested in and then use the product to test it for myself. I’ve had great success for me and my dogs. So even though you are so closed minded I’m not and I believe in the things I’ve tried. There are holistic vets too, and they believe. And just because you believe it to be true and talk to other people who believe it doesn’t make it true. The issue is whether science works better than haphazard personal experience at finding the truth, and the evidence is overwhelming that it does. Also, searching for things online is not “doing research,” it is just looking for support for what you want to believe. Hey all, our friend has a lab border collie cross who contracted Blastomycosis. The poor dog had over a year of treatment but the disease spread into his eye. They had to remove the eye. They continued the medication for another year. When the dog came off the medication it came back. After 2 years and thousands of dollars they were going to let they dog go. But…..they heard of nzymes… Within a week of using the product he started getting better. One year later and he’s as good as new. But only one eye. uhmmmm interesting. Time will tell I suppose. I will try to control myself since you were gracious enough to allow me to post. Wow, who is not seeing the whole picture? In the last 2 years it is 100% obvious that science has brought to us more disease and misery in this world than I want to even think about. I’m not talking just about dogs here (they definitely fit in the category below too): disastrous side effects from drugs (that herbs could have cured), leaving individuals crippled with Parkinson’s and worse, dementia (yes animals are getting it now too,) cutting off body parts and disabling surgeries that maim and disable where a massage or herbs could have cured (my own experience). This repulses me! Sorry, I’ve seen too much misery and the good that CAN–AND HAS HAPPENED to not disagree! I am disgusted with “science” and those who have suffered at the hands of so-called science. Yes it helps for some, but are there that many people living in a bubble who don’t see all the miserable side effects and lack of results? Is it just a fluke that I’ve seen so many people/animals in this misery? NO! If we look for it, it is in front of our eyes, visit Facebook and find a disease—that’s an excellent start—and it is painful, oh so painful to watch. We need to stop pushing away anecdotes that actually help in SO many (that I have seen)—oh, but there are no studies. Really? This generation needs to put on glasses and look outside and see what is happening. If we would actually put our energy into blogs and anecdotes world wide, there would be millions of beings helped, oh, and it wouldn’t cost us an arm and a leg (literally and financially) or who knows what else. That IS a fact. And I guarantee you, vaccines, fluoride and all the chemicals that are “safe” wouldn’t be around much longer! Sorry, but you are simply mistaken about the facts, and so drastically so that I can’t see where we could begin to find common ground to even have a discussion on the subject. The history of science and its impact on public health is extensively documented and clear, and it tells a very different story than what you believe. Without even a narrow common basis in a shared reality, any debate on the subject would be pointless, like discussing religion or any other entrenched, faith-based view of the world. because facebook is an excellent source of accurate and unbiased information? I have used Nzymes on my Cairn Terrier for 3 months and he is a different dog. We did not think he was going to live much longer and I was fed up with running him to the vet every couple months. More steroids! More antibiotics! which would help for the short term, but actually made him SO much worse. He had BLACK elephant skin and his hair was falling out, and he smelled like yeast. After switching his food and taking Nzymes it only took a couple months to see HUGE results. No more funky looking foul smelling skin. I am sorry if this offends you and I love our vet, but this issue the vet simply could not fix. Nzymes did! I just want to add something, my 12 year old pomeranian was suffering terribly with a yeast infection that made him miserable for the past 2 years. His hair was all fallen out, he was depressed, wasnt eating properly, and when I ordered the Nzymes, it was a miracle within a week of using it that he has made a complete change around. I also changed his food, and bathed him with a medicated shampoo that never worked prior to starting him on Nzymes and he’s happy again. That’s fact enough for me! I rescued a pup a year ago. She is a bully mix, fawn and white. I expected her to come to me with skin issues. After finally finding a food that didn’t give her the runs, I now wanted to deal with her skin issues. I tried Nzymes. As the site stated, her issues got worse. I expected this. What I didn’t expect was that when I added the final step to the process, something called Bac-Pak Plus, she would throw up her food, stop eating, and develop bloody stool. Customer service said this was “normal”. She didn’t eat for 2 days when the supplements were added. I threw out her food and gave her the norm, but not much, since she hadn’t eaten in 2 days. She wolfed it down. Customer service was very nasty, said that she was “purging toxins”, and this was normal. Hello! If a dog won’t eat the supplements, how are the supplements beneficial??? They did send me an RMA # for a refund. I have to add my experience with Nzymes. Last year my seven month old Weimaraner came down with oral warts. My vet would not give me anything for it unless it got so bad that she could not eat. The vet said the warts would probably go away within four to six months. Also advised that oral warts are highly contagious. I did not know what to do as I have other dogs! I went online and found Nzymes. I called the company and spoke to a really nice man and he advised what to do using Nzymes products. I followed the Nzymes protocol for oral warts and within two weeks the warts had shrunk to half their size and totally gone in another week! No other dog in the household got warts!! It is an amazing product! Only good things to say about Nzymes!!! A classic example of something that always goes away by itself going away by itself while we do something irrelevant and then give that the credit. All I can say about Nzymes antioxidant treats is that it worked like magic on my 11 yr old chow mix. All his life he had skin issues. Hot spots & sores everywhere. I tried everything the vet suggested and nothing worked. Gizmo never had a flea in his life, yet he scratched as if he was infested with fleas. People wouldn’t believe me when I told them he didn’t have fleas. The vet said he had allergies, to what we never found out.I switched him to a grain free food and that helped a lot but didn’t get rid of it completely. So I stopped in at a all natural pet store looking for a good quality dog food & saw the Nzyme products & decided to try the treats. Within the next few days, his scratching significantly slowed down & in 1 week he stopped scratching all together! He never got another hot spot, his fur grew in so thick, shiny and beautiful. I wish I found this product yrs ago so my baby wouldn’t have had to suffer so long. Sadly,such anecdotes prove that absolutely ever therapy ever tried “works,” which means they can’t really prove anything. Here is some further discussion (and some humor) to illustrate why. My rescue pit bull has similar problems like your dog. We tried injections for allergies and arthritis. Meds for fungal infection. We just received products in the mail yesterday and started using them last night. We hope we have good results. My 13 year old lab suffers from arthritis and we have tried everything. About 60 days ago we began given him ceytl-m. Shortly after starting him on them, his back and leg joint began “cracking”, that is making the same sound as cracking your knuckles. We stopped giving him the cetyl-m and his joints are still cracking and his back pain seems worse. Any suggestions? The vets at the U of Penn Ryan Animal hospital are at a loss. Sorry, I’m not likely to come up with anything the folks a UPenn don’t know about. I hope you find an answer! Hi Bob. I have dog too that has seizures. When you started this nzyme antioxidant treat with your dog, was your dog on medicine too like phenobarbital? And did you stop giving your dog phenobarbital or other epilepsy meds? The seizures stopped because of this mzyme treat? My dog (age 5) was in terrible shape. Bad breath, gassy , could barely walk. Hair falling out, scratching and itching. Took him to the Vet and he was diagnosed with a tumor, bad kidneys, and a bad heart. Then I tried Nzymes and Dinovite. Mixed them both together because they both sound so good and I wanted to make sure nothing was left out. The dog loved them; couldn’t get enough. After 2 weeks the dog’s breath was like fresh mint in the springtime, no more gas and he was walking normally. After 6 weeks the dog was running and jumping. Coat looked beautiful and absolutely no more hair loss. Took it for another exam. The tumor was gone, the kidneys were normal, and the heart was functioning like a young dog. At 3 months I started entering the dog in shows, and he is starting to win. Next will be the Canine Olympics. Yes, this stuff really works, and when you mix two or more brands together, it has a synergistic-catalyst effect and the results are even more spectacular. Costs me $600 a month but it’s well worth it. Just another story, and if we go back to using anecdotes to tell us which medical treatments work, we might as well go back to faith healing and bloodletting. One of my pups was completely paralyzed in her hind legs. We took her to 3 different vets, all said it was hopeless and there was nothing they could do. After 2 weeks of Nzymes antioxidants she is running around again! Truth. I’m going to start taking it myself to help with some of my problems.